Phoenix and the surrounding cities- Scottsdale, Gilbert, Chandler, Tempe, Mesa, Glendale & Queen Creek have so many beautiful venue options. Here are some of my favorite outdoor venue spaces with stunning natural & manmade scenery. Many venues have indoor reception spaces and some have both indoor & outdoor reception spaces. Saguaro Lake Ranch is a hidden gem in Mesa along the Salt River. It is an origial 1930’s cowboy housing when they were building the Stewart Mountain Dam creating Saguaro Lake and is an operating guest ranch. With the stunning Bulldog Mountains as a backdrop with the Salt River running along the property as well as casitas for your out of town guests, you can’t go wrong with Saguaro Lake Ranch. 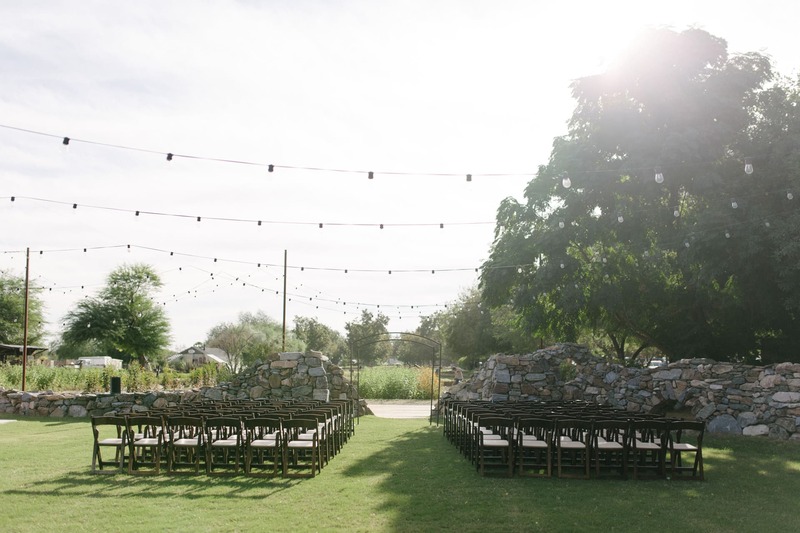 This venue is an outdoor venue only with both the ceremony & reception space held outside under the desert sky. Schnepf Farms in Queen Creek is a gorgeous 300 acre working organic farm run by a local family since at least the 60’s. They recently started doing weddings and have several wedding sites to choose from including my personal favorite, The Meadow, pictured to the left. 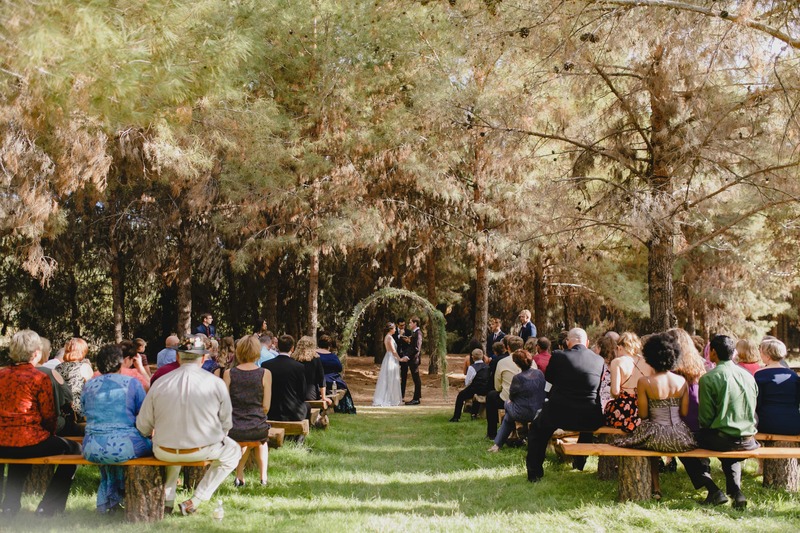 The Meadow is in the middle of a grove of pine tree and the reception space is next to the ceremony space. The Meadow is like having a northern Arizona wedding without the travel. It also has the Farmhouse and the Barn which have ceremony sites near the peach tree grove. The Farm at South Mountain is a stunning working farm with multiple wedding locations onsite for an outdoor wedding and reception space. 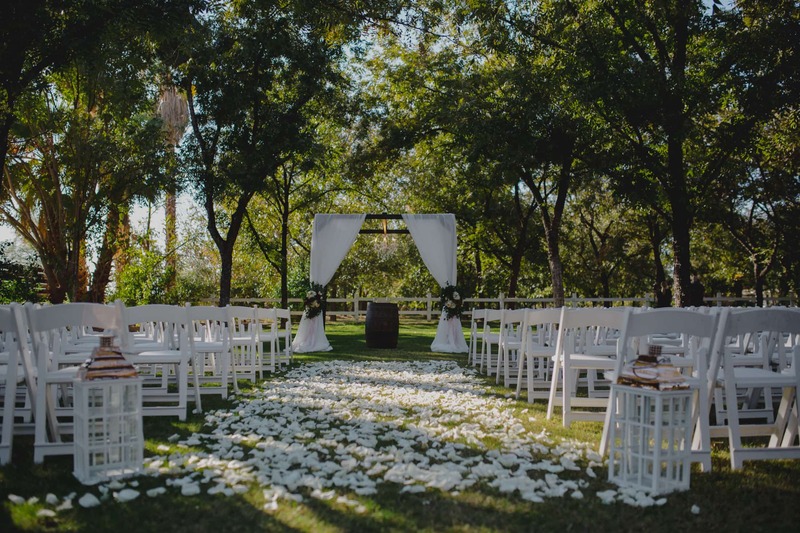 The grounds are stunningly green with an orchard on site, lots of flowers, and string lights for a romantic and beautiful outdoor reception. 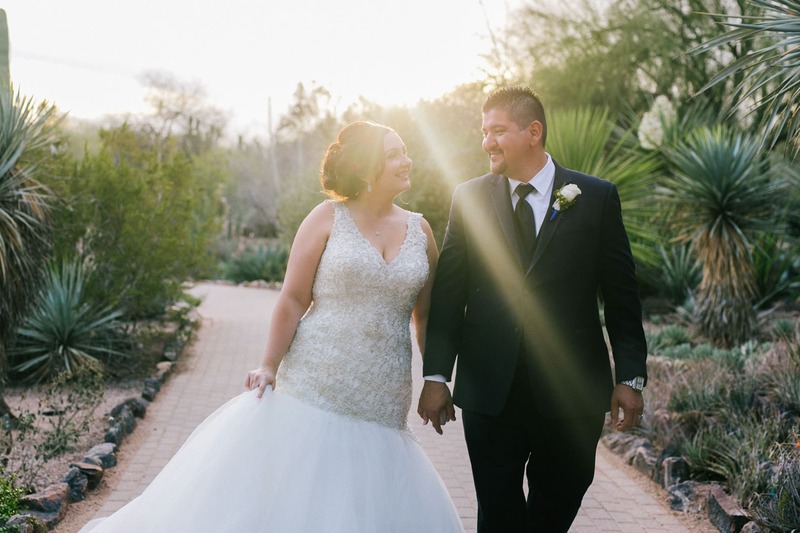 The Phoenix Zoo is a surprisingly versatile space that can accomodate many different sizes of weddings and styles and is conveniently located very close to Phoenix Sky Harbor airport. You don’t have to have to have your wedding be zoo themed either! There are a mix of outdoor and indoor reception spaces depending on your guest count. Guests can walk through the zoo before the ceremony starts or during cocktail hour and it’s especially beautiful when the Zoo Lights are up during the holidays through early March or so. The Desert Foothills Event Center in Scottsdale is a great rustic red barn and dirt floors, great open desert surrounding the property, ample parking and fire pit areas and lighted cacti at night. 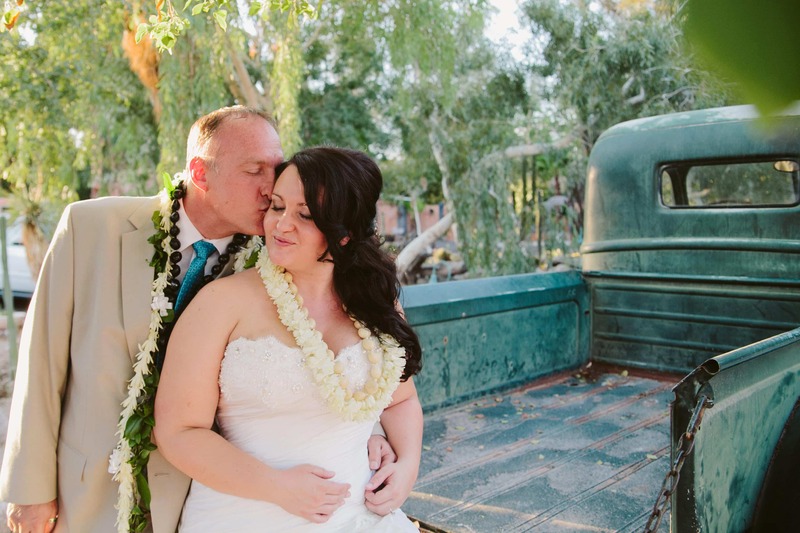 It’s the perfect rustic Arizona venue! Inside the barn can accomodate a lot of people and has great string lighting which means great photography. Windmill Winery is a wedding venue in Florence, about 30-45 minutes from the Phoenix area. They have multiple wedding locations including the Lake House and Big Barn both of which have outdoor ceremony loctions and indoor reception spaces. The grounds are great for photography and they can accomodate very large weddings! They are also building an expansion to the property called the Cotton Gin allowing them to host up to 3 weddings at a time. The Desert Botanical Garden is a lovely space right next to the Phoenix Zoo and Phoenix Sky Harbor Airportwith mutliple wedding locations, a large desert southwest plants and lots of areas to photograph. Guests can walk around the garden before the ceremony starts and during cocktail hour. They frequently have unique art installations and nighttime lighting that makes for unique night time photos. The Boojum Tree Hidden Gardens in Phoenix is a quirky and fun eclectic venue with a mix of some Spanish style, lots of greenery, a tropical greenhouse and big wooden dancefloor open to the night air, and a very unique bar with lots of personality and character. 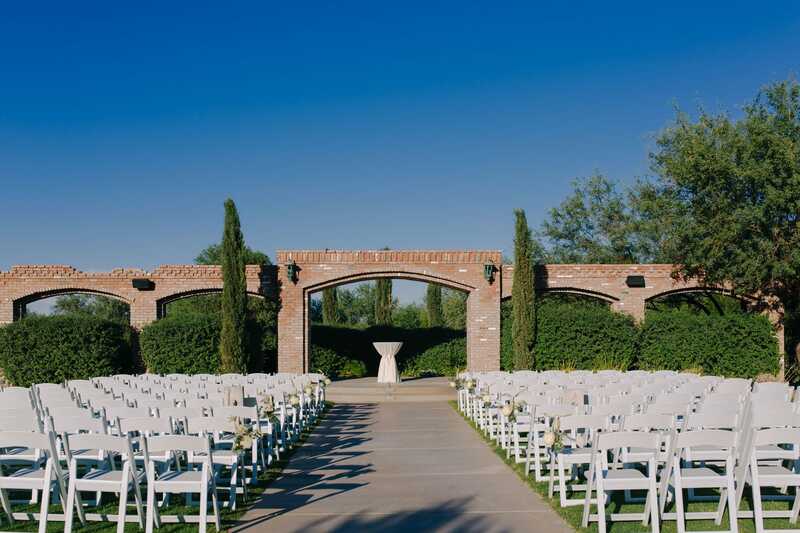 The Venue at the Grove in Phoenix is a lovely venue situated in a beautiful pecan grove. It has both indoor & outdoor reception spaces, but I personally think the outdoor area is to die for. The outdoor area is lit by thousands of twinkle lights which creates great ambiance for your reception under the trees. It’s a must if you’re looking for an outdoor wedding that doesn’t feel like Arizona. I got married in Payson, which is only an hour and a half drive from the Phoenix metro area. 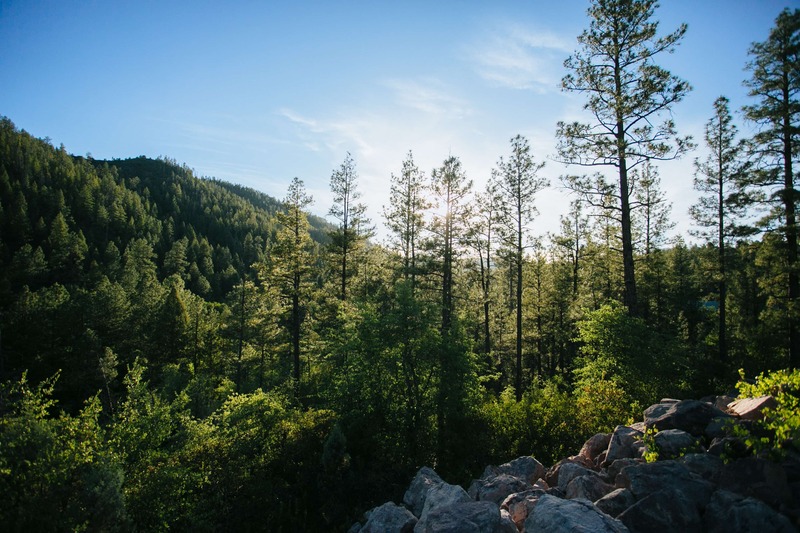 Life is slower in Payson, so there aren’t a ton of venue options- hopefully that changes soon, but the Mogollon Rim can’t be beat. 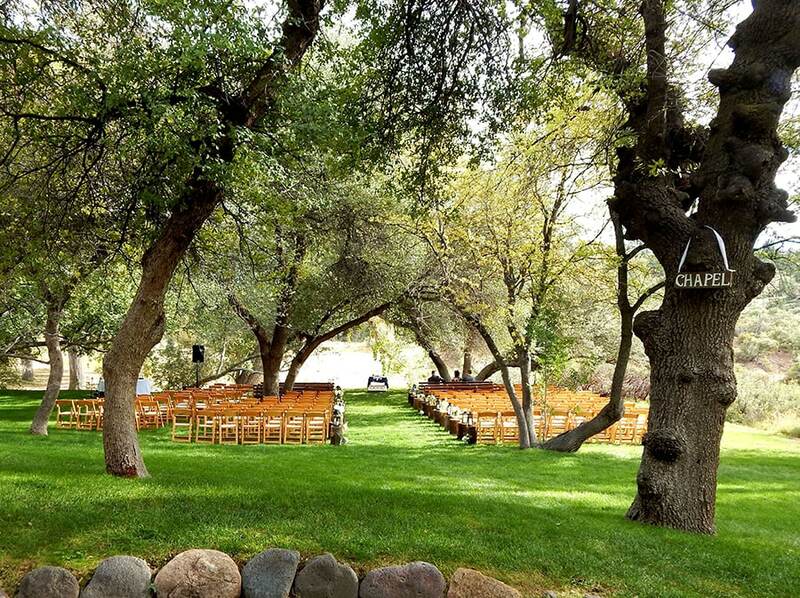 I got married at Tonto Camp Creek, a summer camp, and there is also Kohl’s Ranch, and a few smaller venues along Christopher Creek for smaller guest counts. The ever stunning and popular Sedona is the most iconic natural landmark of Arizona next to the Grand Canyon, Antelope Canyon & Horseshoe Bend. It’s a popular tourist destination, so keep that in mind, but it’s popular for a reason! 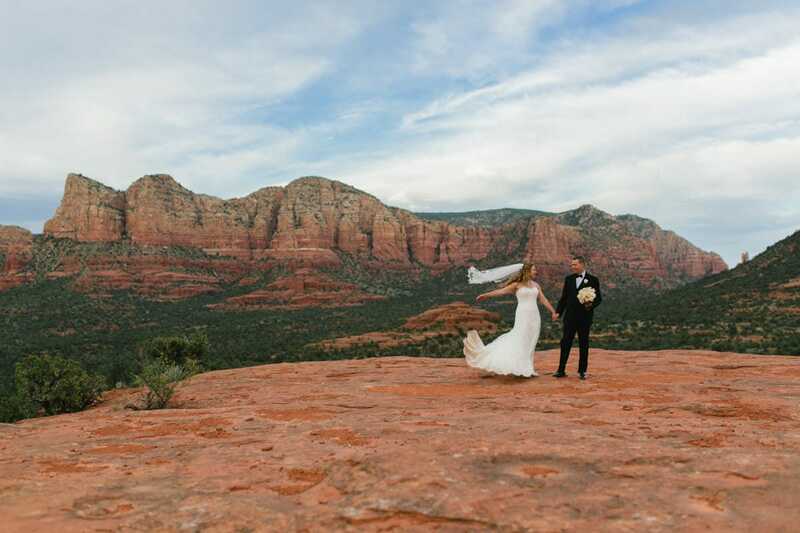 There are many great resorts and hotels you can have your wedding at in Sedona. My favorites are Tlaquepaque and L’Auberge, Junipine Resort, and Briar Patch Inn but there are a lot of hidden treasures espcially just outside of town, such as the D.A. Lodge! Van Dickson Ranch is a working polo field in Skull Valley near Prescott, AZ. 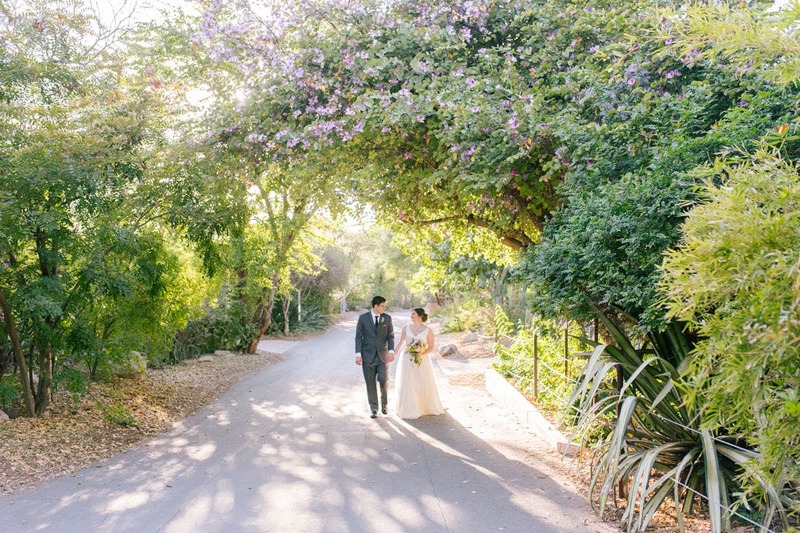 If you’re looking for a ranch style wedding with a ceremony site ringed with trees and a reception under the stars away from city lights out on the polo field, Van Dickson is for you! I also hear they have excellent homemade BBQ they make onsite! Flagstaff- oh I love Flagstaff. Humphrey’s Peak rises in the distance with its stunning grasslands and pine trees and aspen groves on its tall peak, pine trees are everywhere, the air smells fresher and cooler. There are lots of great venues in Flagstaff, but my favorites are definitely The Nordic Center and The Arboretum at Flagstaff. 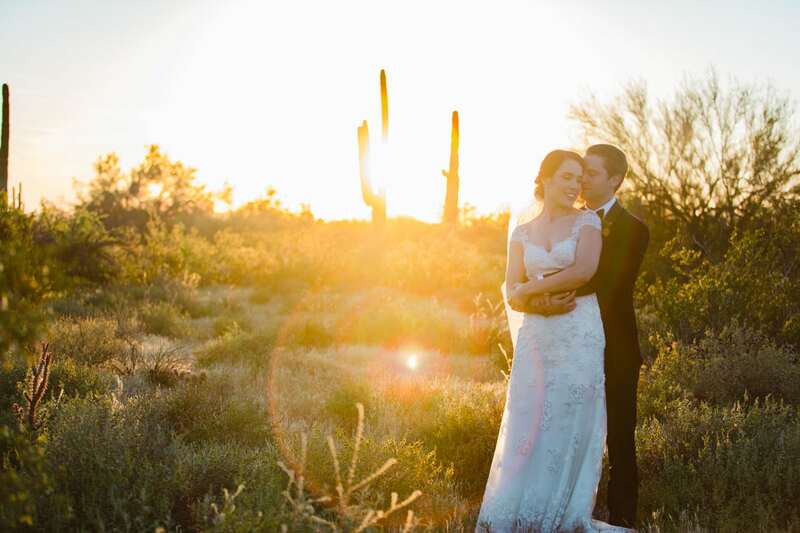 A lot of people don’t associate Arizona with wineries, but Arizona has a surprising number, and a few of them host weddings as well! Alcantara & Granite Creek are in the Verde Valley area, not too far from Sedona. 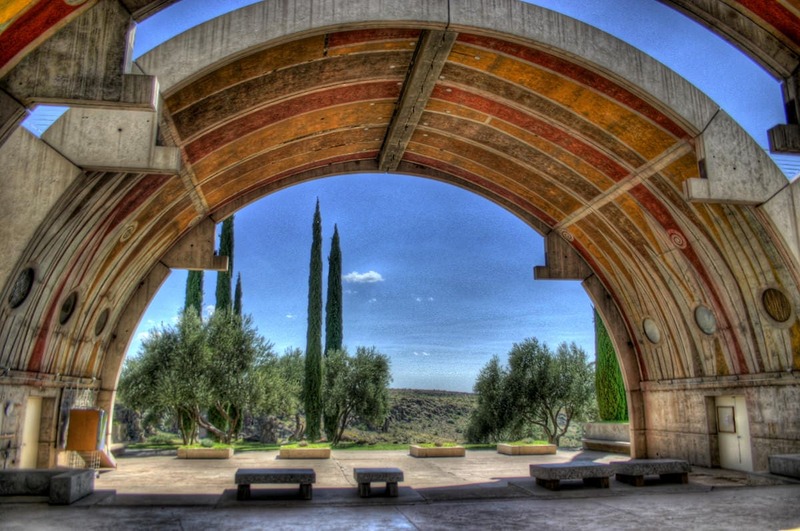 Arcosanti is an urban laboratory built in 1970 as a city minimizing environmental impact. It’s a very unique space not far from Prescott with lots of decorative concrete buildings nestled in among the high desert landscape. The ceremony & reception space is outdoors but covered. Prescott is an adorable town about 2-2.5 hours away from the Phoenix metro area. Whiskey Row is a popular tourist attraction, full of cute bars and restuarants and historic hotels. 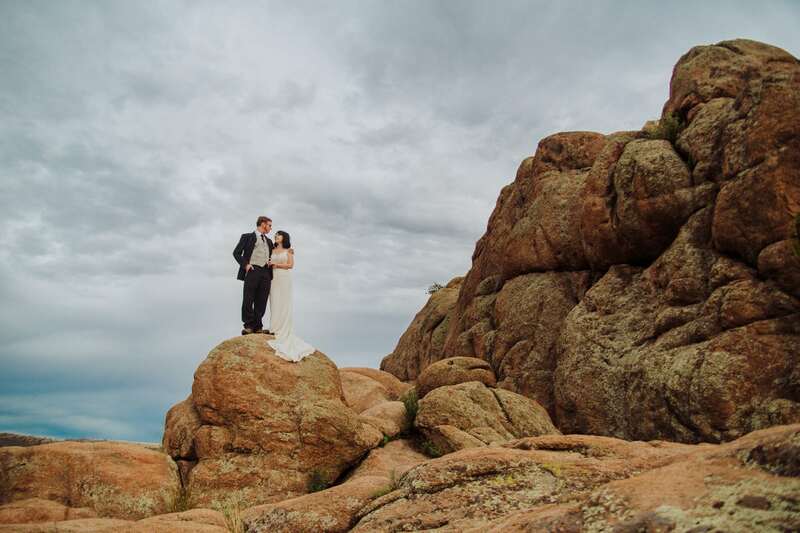 My favorite spot in Prescott is Watson Lake, not far from town, full of granite boulders and a beautiful lake that would make a perfect ceremony backdrop. You can hold your reception in town at any of the bars, restuarants or hotels or at Granite Creek Winery! I love traveling to northern Arizona for it’s cooler climate, beautiful pine trees and mountains and adorable cities and towns with history & character. 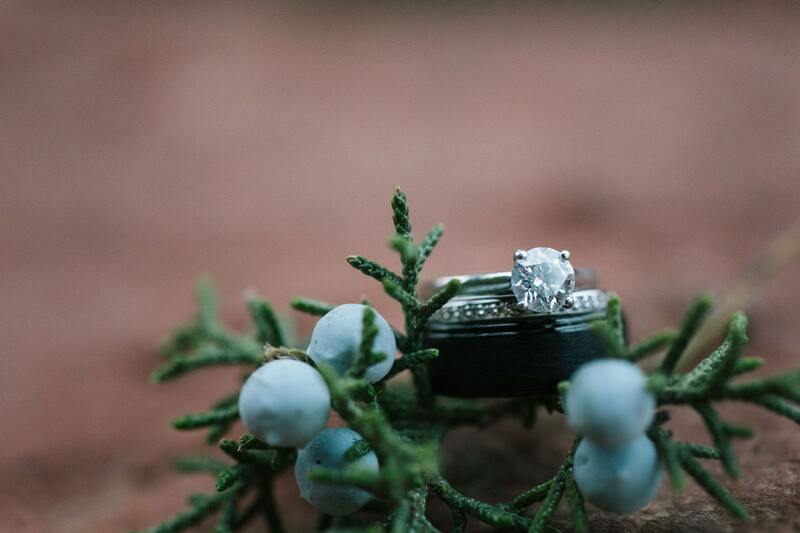 Northern Arizona is definitely the place to get married in the summer or winter if you really want a winter wedding with snow! COMING SOON! 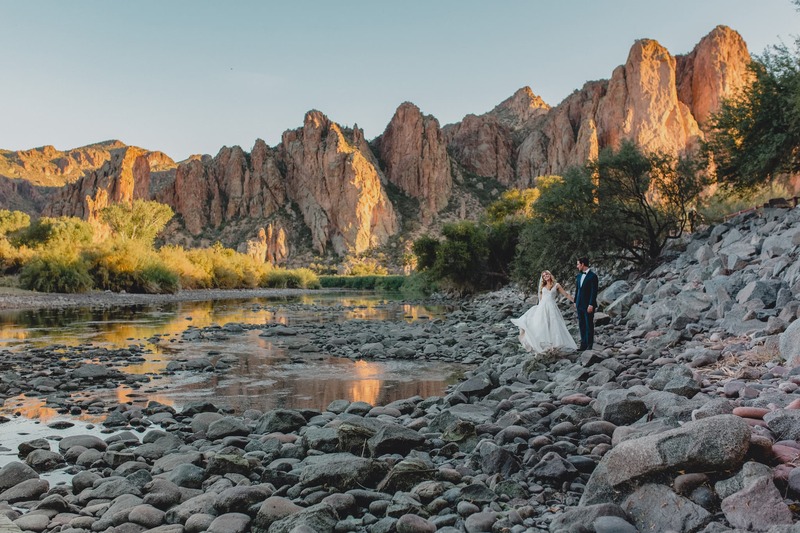 Want a FREE guide to planning your Arizona wedding including some wedding industry secrets, things to look for when searching for your photographer and much more? Pop your email in here and you’ll get the guide almost instantly!